This is a challenge to Fox News team that I’m sure others have issued as well but the challenge is to get serious and expose Obama for what he really is. Check this Keywiki site to show and tell of his disgraceful connections. I wonder if they have the courage or they just as bad as the left leaning media they are forever bashing for protecting Obama. Come on Fox, have you got the spine? Show some real guts or are you gutless wonders? Last night, Bill O’Reilly fished for a spokesman to counter Wafa Sultan’s statements about the anti-humanitairan postiton of Sharia Law and he came up with Harris Zafar. To O’Reilly’s credit he presented Mr Zafar with damning quotes from the Quran and Hadith that incontrovertibly backed Ms. Sultan’s position and got him to explain them away. Unfortunately, O’Reilly did not live up to his show being a ‘No Spin Zone’ because the Islamist waffled on without a shred of proof, just as I predicted in my last post. 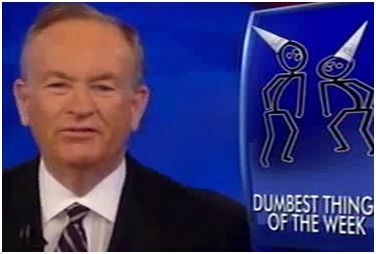 Come on O’Reilly, get in the ‘Zone’ ’cause you have gone soft on the ‘No Spin’!